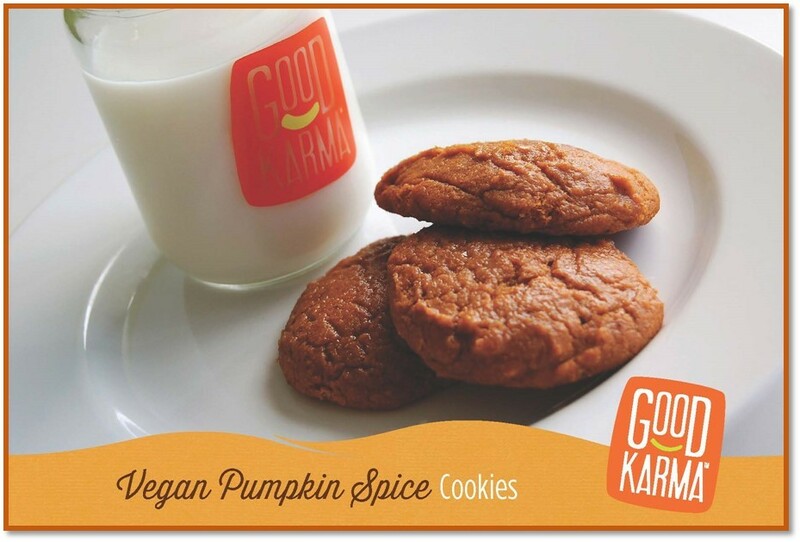 This recipe for vegan gluten-free pumpkin spice cookies produces the perfect seasonal treat. Made with pumpkin spice nog that is free of dairy, nuts, soy and gluten, bake up a batch for any get-together this fall. Preheat oven to 350º F. Grease baking sheets. Combine flour, baking soda, baking powder, pumpkin pie spice and salt in medium bowl. Beat sugars and vegan butter in a large mixer bowl until well blended. Beat in pumpkin, Good Karma Dairy Free Plain Yogurt and vanilla extract until smooth. Drop by rounded tablespoon onto prepared baking sheets. Bake for 15 to 18 minutes or until edges are firm. Cool on baking sheets for 2 minutes. For glaze, combine all ingredients until smooth. Drizzle over cookies and enjoy! Photo and recipe courtesy of Good Karma.